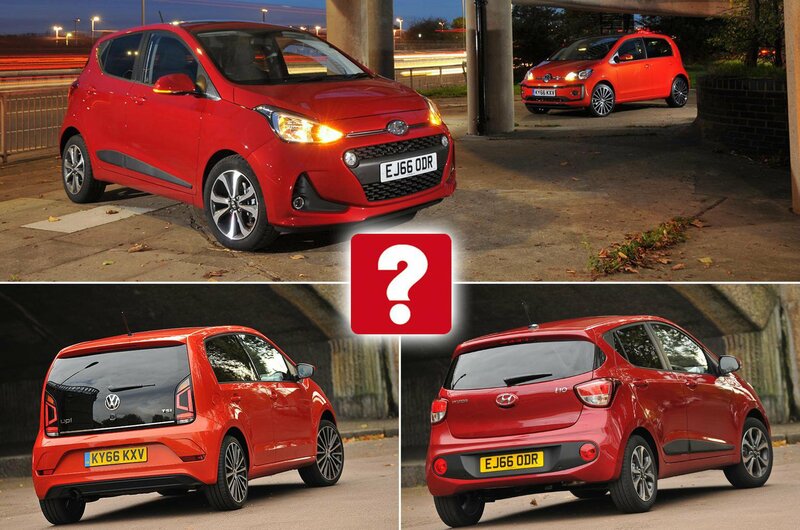 New Hyundai i10 vs Volkswagen Up | What Car? Our reigning city car champion has been treated to a refresh inside and out. With tweaked styling and a new infotainment system, the Up aims to steal the i10’s crown. 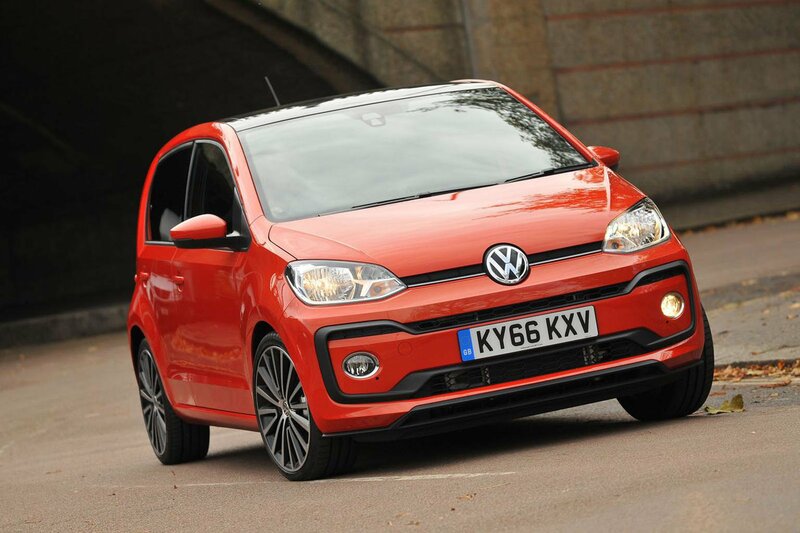 Few cars have redefined a class, but that’s exactly what the Volkswagen Up did when it first appeared in 2012. With its funky styling, great driving dynamics and premium build quality, it showed that city cars no longer had to be bland, boring machines designed simply to get you from A to B. Other car makers quickly caught on to Volkswagen’s fresh approach, though, including Hyundai, which developed the most rounded city car ever seen – the i10. For the past three years, this dinky motor has sat proudly at the top of itsclass due to its blend of practicality, performance and poise. Volkswagen fought back in 2016, giving the Up a new look, a more advanced infotainment system and a new 1.0-litre turbocharged engine. 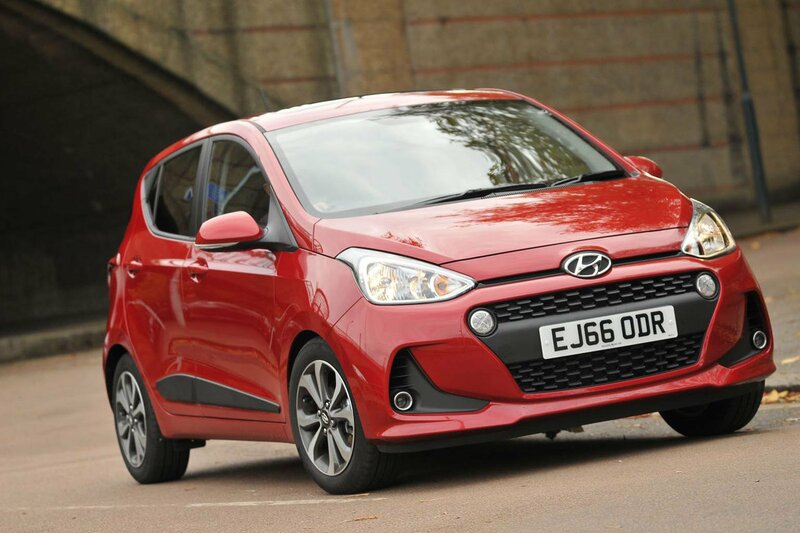 Now, Hyundai has responded by giving the i10 a new face and an upgraded infotainment system.We were impressed when we tested the Up last year, so the battle for best city car will be bloody. City cars are designed to excel in town, where a comfortable ride, tight turning circle and light but positive controls are key. This is an area where the Up immediately impresses. Its clutch pedal is feelsome and easy to modulate when pulling away, its gearbox is slick and accurate and the turbocharged 1.0-litre engine responds quickly when you pressthe accelerator. The i10 is harder to get off the line, with a light clutch and a sensitive accelerator that make it more difficult to feed the power in smoothly. However, once underway, the i10 is more rounded. Despite having heavier steering and firmer suspension than the Up, it is less fidgety over scarred city roads. The Up crashes and bangs over sharp imperfections, but the i10 remains resolute and unfazed. However, much of the Up’s poor ride can be attributed to our test car’s optional 17in alloy wheels. We’ve tried the latest Up on standard 15in wheels and found it significantly more settled over pockmarked surfaces. Venture out of the city and on to faster roads and the Up’s ride improves, but it still lacks the suppleness and composure of the i10. Wind noise around the door mirrors and noticeable tyre roar, which is not helped by those 17inwheels, also make the Up more tiring to drive long distances. That said, the Up steals some points back for having a quieter engine, with its three-cylinder 1.0-litre unit almost imperceptible at speed. In contrast, the i10’s 1.2-litre four cylinder sounds a bit raucous at a fast cruise. It also has a lot less low down grunt than the Up, so you need to rev it harder to access its performance. This is less of an issue around town, but as soon as you join faster flowing traffic the engine’s initial shortage of poke can become frustrating. Dynamically, both cars are surprisingly capable when the road becomes tight and twisty. Direct steering and impressive body control make the Up genuinely good fun to hustle down a B-road. Although the i10 isn’t quite as enjoyable, it’s less affected by undulations and stays even more upright through bends.